The best things about this season are all those yummy things that start growing now. 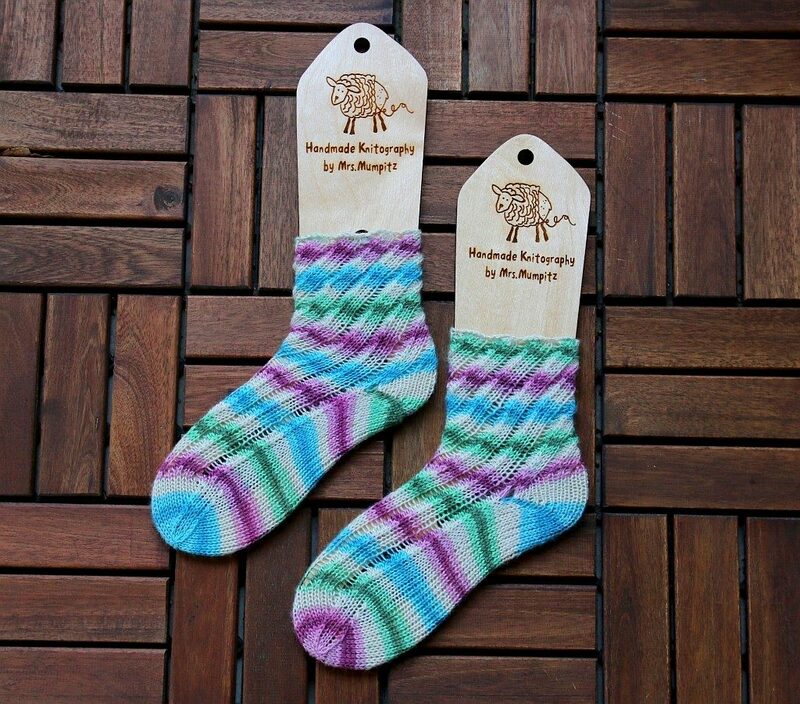 Like aspargus or rhubarb. My favourite foods! So I’m going to share with you one of my mum’s (and mine!) favourite cake recipes (which doesn’t involve aspargus, sorry^^). But be aware, I’m not a food blogger, so no fancy schmancy recipes – only easy and yummy stuff! This one is so versatile that you can use it all year round and top it with any fruits you like. But it’s definitely best with rhubarb. Mix all ingredients in a bowl so that the dough gets crumbly and not too sticky. Use half of the crumbs to cover the bottom of a 30cm rectangular baking form. 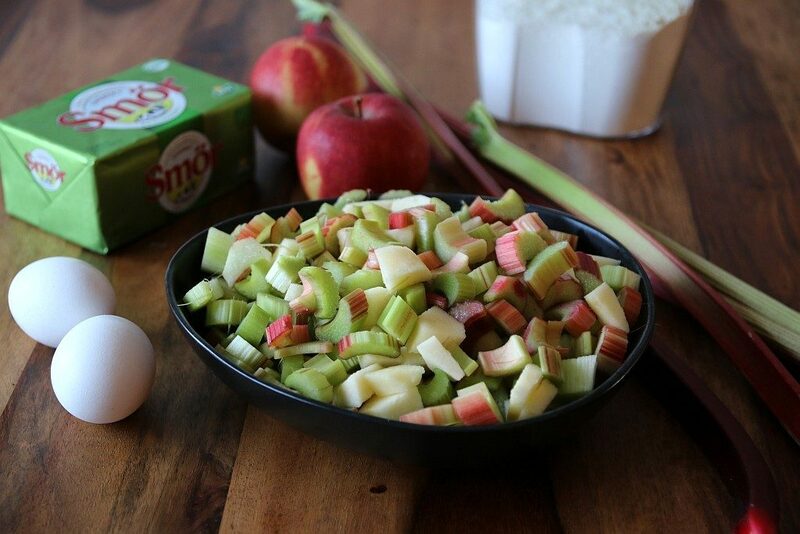 Clean and cut apples and rhubarb to smaller pieces (yes – you’ll need to peel the rhubarb). 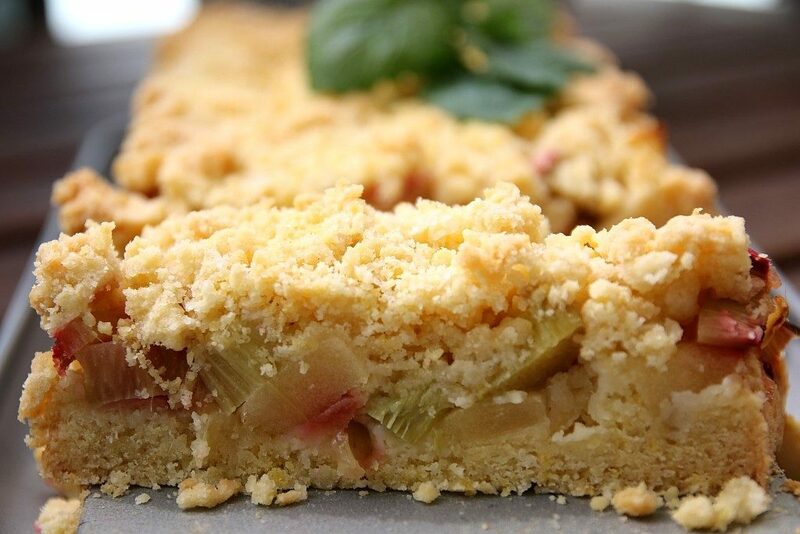 Add apples and rhubarb to the baking form. You can sprinkle it lightly with sugar if you like, to take off some of the sourness. 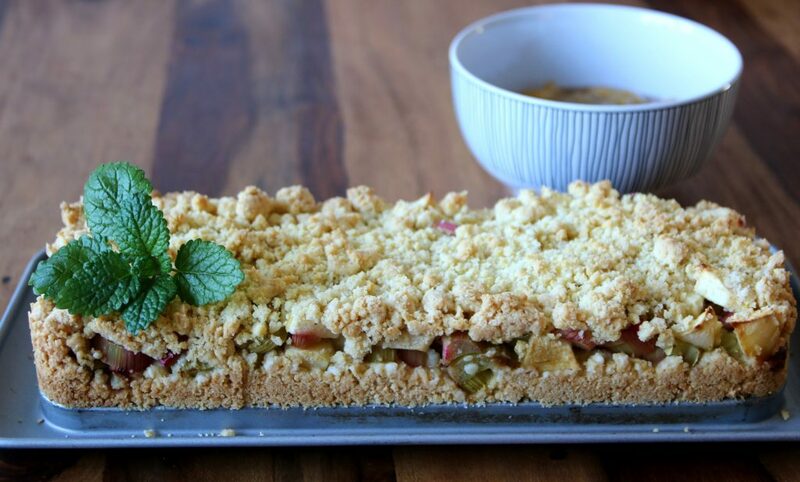 Crumble the rest of the dough on top of the apples and rhubarb mix and bake around 60minutes until the top of the cake is light brown.